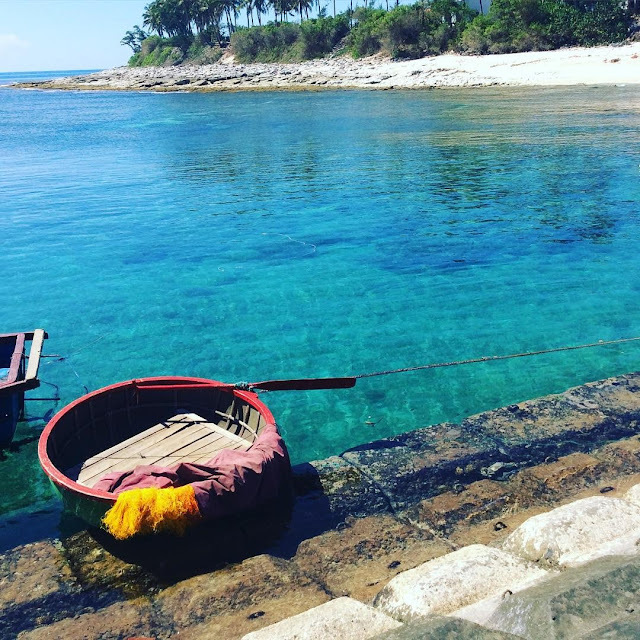 Ly Son Island, previously known as Cu Lao Re, is a district in Quang Ngai Province, off the South Central Coast of Vietnam. It takes you an hour to travel on boat from Quang Ngai to Ly Son Island and you will be surprised by an amazingly beautiful island with its unique landscape and social value. Ly Son is also well-known for the name of “male garlic”. People call this place is the kingdom of “male garlic”. The natural beauty gives you a wonderful impression of pure ocean, smoothly sandy beaches, green male garlic fields. Five mountain peaks soaring under the vast sea and blue sky capture the whole view of island. Wild and unspoilt beauty make people feel a slow, peaceful life and seen to be love this country more and more. Located off the coast of Quang Ngai province, small Ly Son Island is a growing holiday spot for Vietnamese tourists yet somehow it has eluded the foreign travelers' radar. It is quite simple with its crystal clear water full of reef wildlife, white sandy beaches, the green garlic fields, and spectacular volcano scenery. Small Ly Son island is one of the small islands of Ly Son Island, also known as An Binh Island. From Ly Son Island, each traveler takes about 15 minutes by cano to reach small Ly Son island. Like its name, small Ly Son island has a small area, few inhabitants and mainly attached to garlic growing. 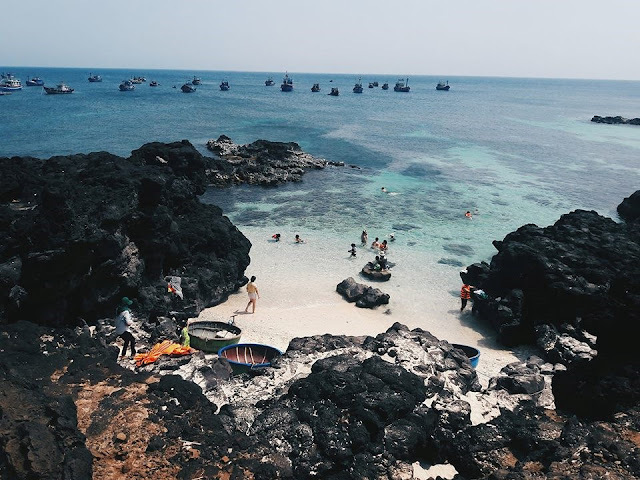 "I can rent a motorbike for 50,000 VND to go around the whole island but going for a while is the end of the road, beacause choosing to walk to explore the small island of Ly Son is the ideal choice than ever" said Pham Hung. Moreover, Hung also said that on small Ly Son island there is also a tram service from the port to the beach for $ 10,000 per person. 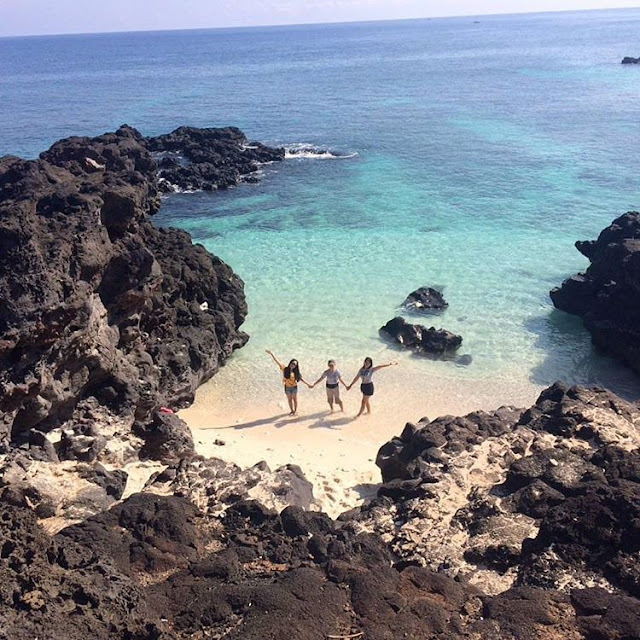 At small Ly Son Island, visitors not only enjoy the peace of the island brought with the white sand beach, blue sea water can look to the bottom. Next to the sea are the volcanic cliffs of millions of years of black color, the straight coconuts always whisper in the sea wind. In addition to swimming, visitors can also scuba diving to view the colorful coral reefs. People will use the colorful boats to take you to the coral at sea. In addition to the beauty of nature, Xoa Xoa sweet soup is also attracting visitors to the island of Ly Son, don't miss any unique experience when exploring this beautiful island.